This is the first thing that you should look for while hiring an air conditioning technician. 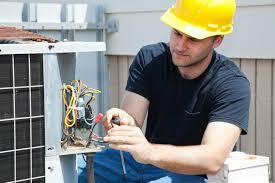 HVAC is a very delicate system, and for anyone to obtain a license, they’re taken through a rigorous vetting process. For instance, they must have practised the in the field for a certain period so as get the necessary skills to handle any HVAC task. Only the best who qualify are licensed, and that’s why it’s an important factor to check. Being licensed or certified to provide air conditioning services does not mean that the technician has the best experience. You may find two licensed professionals, but one has a decade more of experience in the field than the other. The good thing about working with the most experienced air con technician is the probability of them having dealt with a similar problem. This makes it easy to fix the problem directly without second guessing. For amateur or inexperienced technicians, they might spend hours before they can identify where the problem is. Like in any other field, some technicians care less about the clients. That’s why you need to check their reputation before giving them a job. You don’t want to hire someone only to be disappointed with their quality of service. The first thing you need to check is their customer relationship. Just visit their website and read the customer reviews. If they have maintained consistently good reviews, then you can hire them. You can also ask around particularly if they are based in your locality and hear what people say about them. Air conditioning system is a significant investment, and any form of damage will cost you a lot to repair or to replace. That’s why the technician handling the repair or servicing must be insured to shield you against damage costs or other losses. In case the system is destroyed while the technician is working on it, the insurer will pay for that. It’s also safe for you to check the reputation of the insurer before hiring the technician. This is one of the tricks to tell apart a genuine and fake technician. A professional technician will come to your place and survey the problem before making any definite estimation. If someone is giving you estimates without checking the house, they are likely to be fraudsters and should be avoided. They’ll lure you with low estimates only to jack up the price after starting with the job. 6. Do They Belong To A Professional Association? This is a question that you need to ask them. Belonging to any of the professionals is an indication that the technician has the acceptable level of skills. It’s also a confirmation that they have what it takes to work on any AC unit problems. But always confirm their membership to make sure that they are not faking to defraud you.